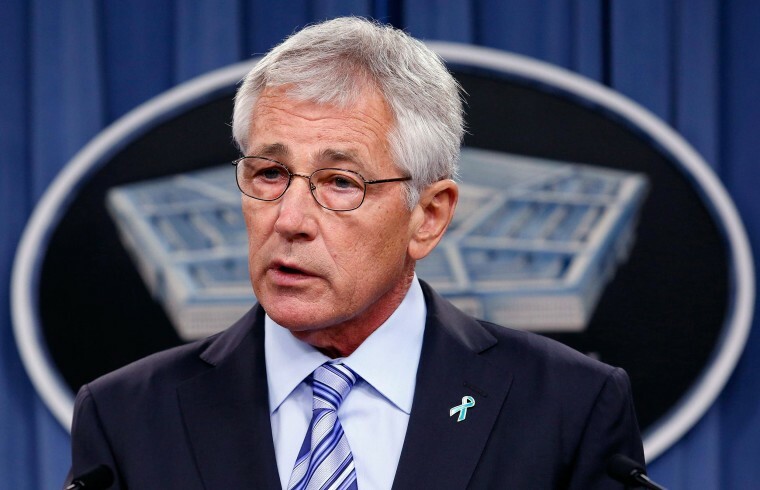 Defense Secretary Chuck Hagel on Tuesday ordered a 90-day comprehensive review of the military health system in the wake of allegations that Veterans Affairs hospitals falsified data about how quickly veterans were being treated. The Pentagon said Dr. Jonathan Woodson, the assistant defense secretary for health affairs, would lead the review, focusing on access to health care and quality of that care. A statement said the review would cover military treatment facilities and care contracted from civilian providers. The statement noted that the military system, which is separate from the VA system, serves nearly 10 million beneficiaries, including active duty service members, retirees and family members. The VA system says it serves more than 8.3 million veterans each year. The Pentagon said Hagel would meet Wednesday morning with Work and other officials to discuss the review, which was to begin immediately. Veterans Affairs Secretary Eric Shinseki has been facing calls to resign – even from some Democrats – in the wake of the scandal. The VA's Office of the Inspector General says that 26 VA facilities are being investigated over whether they concealed long wait times for care by falsifying records. President Barack Obama said last week that any such acts would be “dishonorable … disgraceful” and said he would hold anyone who engaged in or ordered such activity accountable.